I've got a 1974 1.8 L-Jet and I've become puzzled with the starter wiring. 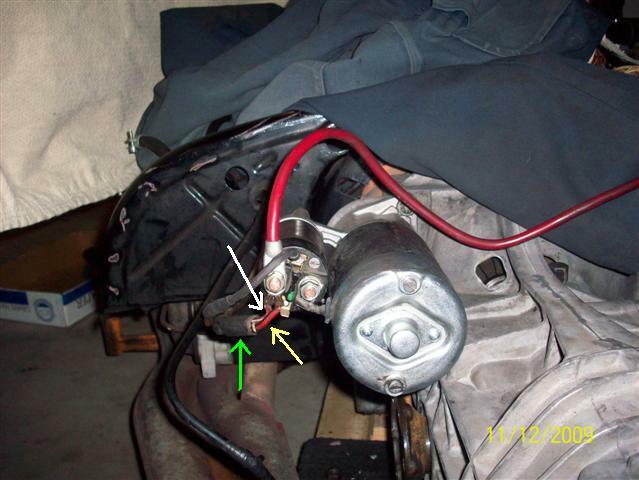 In the picture below, the green arrow points to the factory harness, the yellow arrow points to what looks like a 12 ga red wire, and the white arrow points to the red wire with a white stripe. The Haynes manual (pg 175) does not show these wires attached to terminal 30 on the starter........does anybody know what are these wires for?